조선 광해군 때 세워진 사리탑과 그 안에서 발견된 여러 사리장치들이다. 광해군은 왕세자의 만수무강과 부처의 보호를 바라며 봉인사의 부도암이라는 암자에 사리탑을 세우게 하였는데, 사리탑에는 승려의 사리를 모시는 것이 일반적이나, 이 탑에는 부처의 사리를 모셔두고 있다. 이 유물은 일제시대를 거치면서 수난을 겪었는데 1927년에 일본으로 반출되었다가, 60여년이 흐른 1987년에서야 비로소 우리나라로 되돌아오게 되었다. 사리탑은 8각의 평면을 기본으로 삼고 있다. 전체의 무게를 지탱하는 기단(基壇)은 상·중·하의 세 부분으로 나누었고, 그 위로 북처럼 둥근 탑몸돌을 올려 사리를 모셔 두었다. 8각의 지붕돌을 그 위에 올린 뒤 꼭대기에는 길쭉한 머리장식을 얹어 마무리하였다. 전체적인 모습은 조선 전기에 만들어진 청룡사의 사리탑이나, 회암사의 사리탑을 떠올리게 한다. 즉 북처럼 둥근 탑몸돌과 지붕돌 낙수면의 여덟 모서리마다 새겨진 용머리조각, 탑 주위로 둘러진 난간석 등이 그러하다. 이는 당시가 조선 중기였음에도 불구하고, 조선 전기의 양식을 그대로 따르고 있음을 보여준다. 탑몸돌 윗면에는 사리장치를 넣어두던 네모난 홈이 있는데, 이 곳에서 7점의 유물이 발견되었다. 모두 뚜껑이 있는 그릇으로, 놋쇠그릇 3점, 은그릇 3점, 수정사리병 1점으로 구성되어 있다. 놋쇠그릇 안에 은그릇을 넣어두는 방식으로 각각 3쌍을 이루고 있는데, 놋쇠그릇에는 명주실·비단·향(香)이 담겨져 있다. 은그릇은 뚜껑에 금박이 입혀진 구름과 용무늬를 역동적으로 새기고, 그릇 밑바닥에는 몇 줄의 글귀를 기록해 놓았는데, 기록을 통해 이 유물이 광해군 12년(1620)에 봉해진 것임을 알 수 있다. 사리탑과 사리유물 모두 조선 전기의 양식을 거의 변함없이 따르고 있으면서도, 곳곳에서 새로운 시도를 하고 있어 흥미롭다. 탑의 길쭉한 머리장식이라든가, 사리그릇을 두세 개만을 넣어두던 당시 흐름에 비해 여기에서는 7개나 되는 그릇을 사용하고 있는 점 등이 그것이다. 확실한 연대를 알 수 있는 조선 중기의 대표적인 작품으로, 조선시대의 유물연구에 기초적인 자료가 되는 중요한 의의를 지닌다. 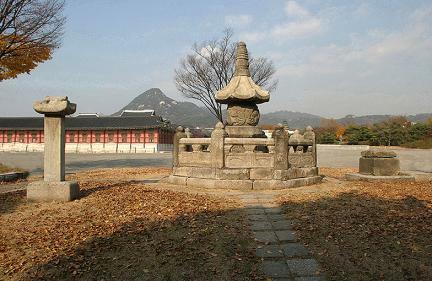 King Gwanghaegun (r. 1608-1623), the 15th ruler of the Joseon Dynasty, had a stupa built at Budoam Hermitage of Bonginsa Temple, praying for his prince's healthy and long life under the Buddha's protection. It is usual to keep the sarira of a certain Buddhist Monk in a stupa, but this remarkable stupa keeps the Buddha’s sarira. 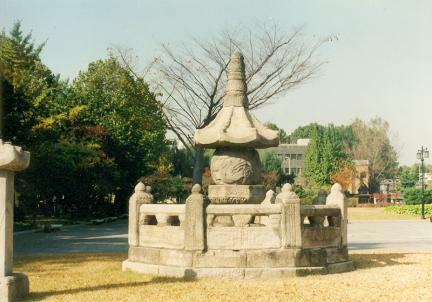 The stupa also went through many difficulties during the Japanese rule in Korea (1910-1945), and it was moved to Japan in 1927 before it was returned home in 1987 after over 60 years. The stupa is formed on an octagonal plane; the platform, which supports the total weight of the stupa, consists of three parts. 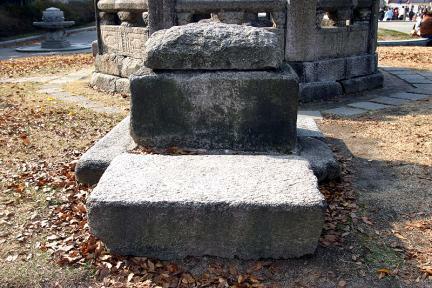 The round body was placed on the base platform, and the sarira is kept in this part. 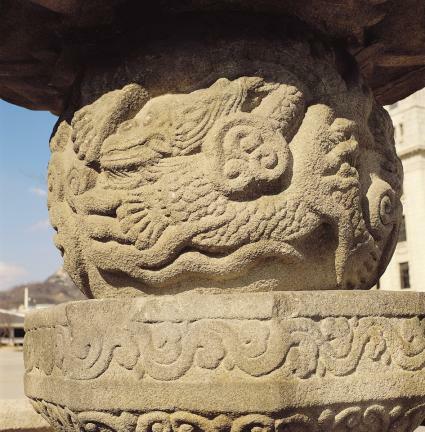 An octagonal roofstone covered the body with a long finial ornament. 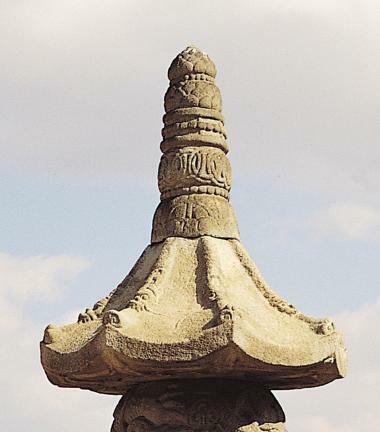 The general appearance of this stupa – the round body, the dragonhead carved at the eight corners of slanted roofstone, and the stone guardrail around the pagoda – reminds one of the stupas of Cheongnyongsa Temple and Hoeamsa Temple. 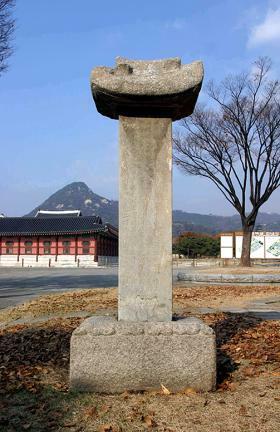 This indicates that the same style prevailing in the beginning of the Joseon Dynasty remained even until the mid-Joseon Period. 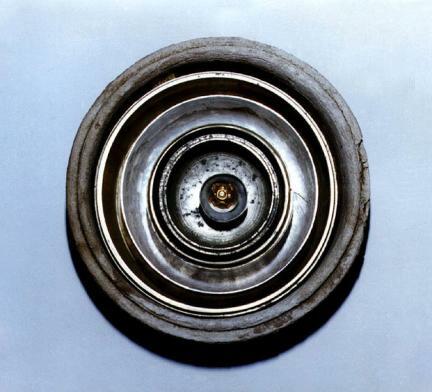 At the top of the pagoda body is a square dug space to keep reliquaries, and seven relics were found here. They are all vessels with cover, including three brass vessels, three silver vessels, and a crystal sarira bottle. A silver vessel was nested in a brass vessel, making three sets in all; each brass vessel contained silk thread, silk fabric, and incense. 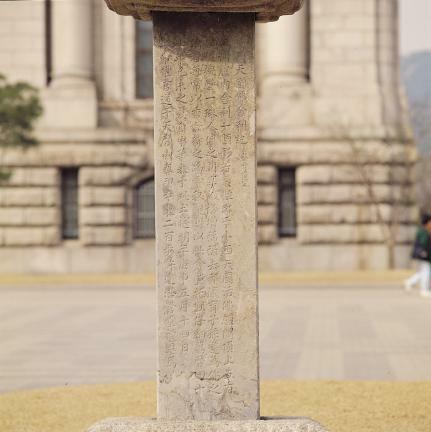 The lids of the silver vessels were decorated with a design of flying dragon and clouds in gold, and the inscription on the bottom surface proved that these relics were sealed in 1620 (12th year of King Gwanghaegun’s reign). It is very interesting to see the attempt at a new style as well as the stupa. 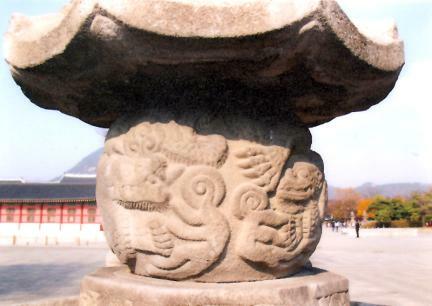 For example, only a couple of sarira vessels were put in a stupa during those days, yet this stupa contained seven vessels; the finial ornament was also made much longer than any other stupa built during the same period. 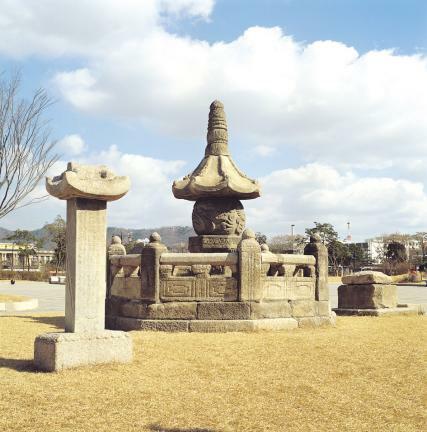 This stupa is one of the typical works from the mid-Joseon Period with a confirmed age record, playing an important role of providing basic data for studying the cultural heritage of the Joseon Dynasty.